As part of our outreach NHCC offers ash scattering at sea for families and friends. Looking for something different for your business/organization team? By special request NHCC can provide a fun, educational, cultural and inspirational time for your team. to leadership and the team concept. 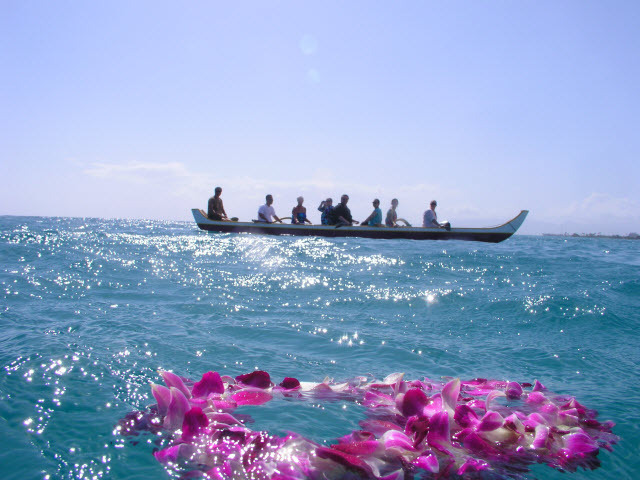 It culminates with paddling and racing in the canoes in a beautiful ocean setting.